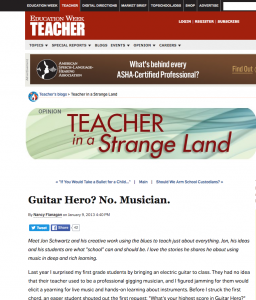 Meet Jon Schwartz and his creative work using the blues to teach just about everything. Jon, his ideas and his students are what “school” can and should be. I love the stories he shares he about using music in deep and rich learning. Full article at Education Week.